Before B’Tselem began polling the Israeli public, we placed bets among ourselves about the size of our constituency. As an Israeli organization primarily addressing our own military’s treatment of Palestinians under occupation, we knew we weren’t popular. This was at the height of the second intifada, with suicide bombings and other attacks against Israeli civilians a regular occurrence. There was much hostility to our message that Israel must respect Palestinian human rights even in the fight against such attacks. Most of our staff estimated that only around 5% of Israeli Jews supported our work. In fact, results revealed that some 20% of respondents thought B’Tselem’s reports were “accurate and fair”. In the same poll, 30% agreed that in the current situation it was justified for human rights organizations to focus on the rights of Palestinians. While to outsiders 20% support might seem minimal, we were pleasantly surprised to learn that a not-insignificant constituency understood the importance of our work. For human rights organizations solely focused on elite audiences, there’s no need to engage with public opinion, and for years this was the case in Israel. Over the past two decades, however, Israeli organizations have invested in bringing their message to the mainstream public in order to create discussion and to strengthen support for our issues. Public opinion polling has assisted in these efforts. Polls are like perfume—they are to be sniffed, not drunk. B’Tselem played a leading role in the expansion of human rights work beyond research and legal cases to also include public campaigning. We used polling to establish a benchmark regarding the public’s views, to identify wedge issues, to tailor messaging and to attempt to measure our impact. Polling certainly can contribute to more effective engagement with the public, but its limitations must also be understood. As one consultant told me, polls are like perfume—they are to be sniffed, not drunk. With this is mind, B’Tselem’s first poll tried to gauge both the public’s knowledge and its views on the range of human rights issues. It also measured the familiarity and support for the organization. This established quite clearly that the problem was not a lack of awareness regarding the organization—everyone had heard of B’Tselem—but rather a lack of support. So at least we were past the first hurdle. The broad survey of all human rights issues enabled identification of “wedge issues”, those issues on which our views had the most traction. While the majority of Israelis support virtually any measure that is justified as necessary to promote our security (e.g., administrative detention, the Separation Barrier, military combat operations), we discovered that there is much less support for the discriminatory allocation of water between Israelis and Palestinians. In addition, a majority of Israelis expressed discomfort with incidents of violence by extremist Israeli settlers against Palestinian civilians. They were also more likely to be sympathetic when the victims of violations were children. These are our wedge issues. The pollster who identified the wedge issues suggested we devote all our efforts to settler violence, an issue that aligns human rights organizations with the Israeli majority. This approach was rejected by the organization. From a human rights perspective, the problem is not a few extremist settlers, but rather the security forces’ failure to protect Palestinians and the entire discriminatory system of law enforcement. This is not to suggest that we should never select a wedge issue. The possibility of success is certainly one consideration when planning a campaign. 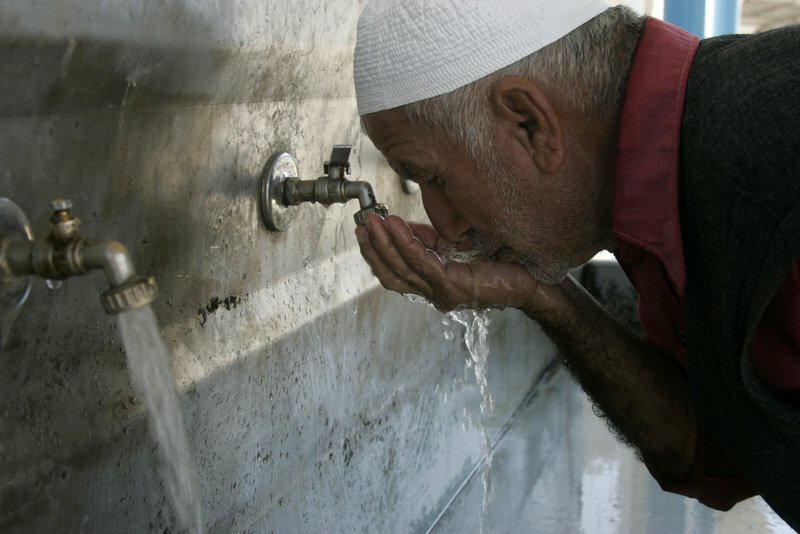 Indeed B’Tselem conducted a public campaign on behalf of Palestinians’ water rights, based partly on the understanding that—even if this is not our first priority issue—our message on this would resonate with a larger proportion of the Israeli public. 'Wedge issues', like water allocation, provide openings for human rights dialogue in an Israeli community typically supportive of any measure justified as necessary to promote its security. Likewise polling assisted us in tailoring our messages, though here too there may be tensions between wanting to be effective and remaining faithful to human rights principles. A campaign against rubber bullets that focuses on child victims is appropriate and strategically smart, given the polling data that Israelis are more sensitive to harming children. Yet what if the strategically smart course is to ignore the human rights message entirely? Could a campaign against the Separation Barrier, for example, focus solely on Israelis' self-interest (the economic and international repercussions of the Barrier) without mentioning its toll on Palestinian human rights, just because the first two “poll better” than the third? Here there is a tension between short-term goals (building public support for moving a Barrier that harms human rights) and longer-term goals (strengthening the public's understanding of the importance of human rights). Occasionally we used polling to gauge the effectiveness of a particular campaign. Given the limited resources most organizations can devote to public campaigning, the impact of any given campaign is going to be marginal. It is not realistic to expect that a few weeks of advertisements, events and newspaper articles will change people’s minds enough to register in a representative sample of the public. However, when the goal of a campaign was to reshape the public conversation—specifically to introduce the term “strangulation policy” into the public discourse to refer to the West Bank checkpoints—before and after polling indicated that the campaign had had some success. In many ways, the polls merely confirmed and quantified what we already knew. As Dahlia Scheindlin reported, a majority of the Israeli public is quite hostile to the work of human rights organizations, particularly those promoting Palestinian rights, and a decade of engagement with the public has not changed these numbers. This is not a reason to abandon these efforts, but it does mean that public campaigning is a supplement and not an alternative to our other advocacy strategies. Even if we're not going to win the public argument, it's a conversation worth having.